Dull, cloudy headlights can make your vehicle look older than it actually is, and it definitely takes away from your car’s appearance! Nothing is worse than cleaning and polishing your car to a high shine, only to have clouded headlights detract from its appearance. While our business is buying used cars for cash in Honolulu, we’re interested in all things cars, trucks, and SUVs and enjoy providing our readers with Hawaii car tips. Clean thoroughly to prepare for sanding. Using soap and water or glass cleaner and a dry, clean cloth or shop towels, clean as much dust, dirt, and grime as possible from the headlights. If you want, you can remove the headlights for this step, but keep in mind that after putting them back in it may take a bit of adjustment to get them properly aligned. Sanding. Before sanding the headlights, you want to tape around the headlights to protect the paint around the headlights from scuffs or abrasions. Once you have the tape in place, use sandpaper to take off the yellow, dull haze on your headlights. You know you’re finished sanding when the headlight looks clear and the “haze” is gone. The surface will be rough and dull upon completion of this step. Now it’s time to polish. Polishing restores your headlights to their original clearness, and eliminates the scratches from the sandpaper. After polishing the headlights, apply a UV sealant to ensure your headlights stay clear. 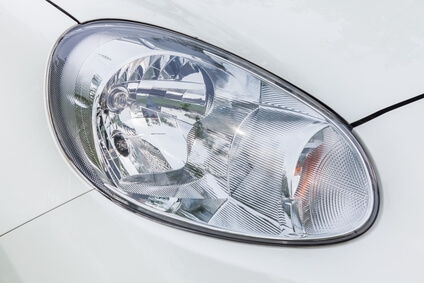 Good UV protectant products for your headlights include Lenz Solution and Sylvania. Revitalizing your headlights takes just a little elbow grease, but isn’t it worth it to restore their original clear, gleaming appearance? If you’re in the market to sell your used car for cash in Honolulu, trust CarMark Hawaii for the best deal around. With more than 25 years in the industry, we have become the go-to dealers for those looking for used car buyers who give cash on the spot to those who qualify. Call or come by today!